Hi there! 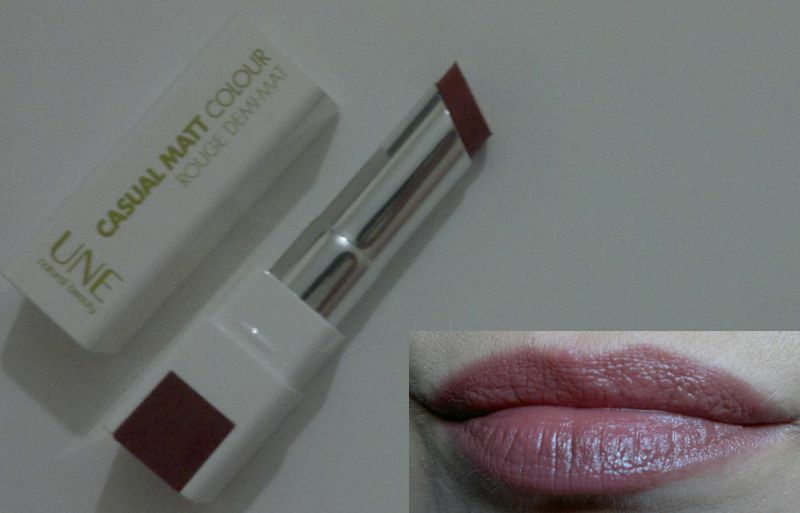 I haven’t done many posts about colour cosmetics recently, so here’s a quick review of one of my favourite lippies: UNE Casual Matt Lipstick M18. 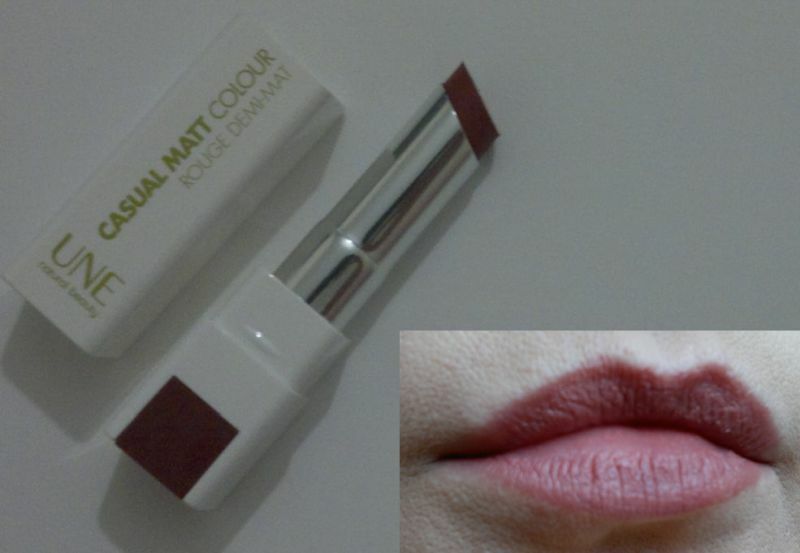 As the name suggests, this is a matte, or rather semi-matte lipstick. I really love the texture of this lippie because it feels like velvet on the lips. UNE is part of Bourjois. UNE products used to be available at Boots and Superdrug stores a few years ago, but now UNE products are available at Whole Foods and a few online retailers only. I’m not sure why, but I guess it may have to do with the brand’s all natural image (I may be totally wrong, though). I cannot recommend UNE’s Casual Matt lipsticks enough. They’re worth every penny (prices vary from £2 to £10 depending on where you shop) and they truly deserve 11 stars!